Save Your Facility From Water Damage With AVTECH’s New Flood Protect & Control Kit! It’s 4AM. Your cell phone begins chirping madly at your bedside, waking you quickly. When you pick up your phone, you see that your screen is filled with text notifications from the Room Alert environment monitor in your data canter. The Flood Sensor w/Cable connected to your Room Alert has detected water and has been alerting you for 15 minutes. After you quickly jump out of bed and get dressed, you realize that it will take you at least 30 minutes to reach your office. What is happening to the water that’s been detected in your data center? How did it get there? These questions, among many others, run through your mind during the drive, along with the most important – is the water reaching my servers? Upon arrival, you enter your data center to find that a leaking pipe has introduced 2 inches of water in your data center. It’s run up against several of your cabinets and racks, getting your UPS units wet and causing outages. It will take days to clean up and recover, costing you thousands of dollars in lost productivity and hardware. 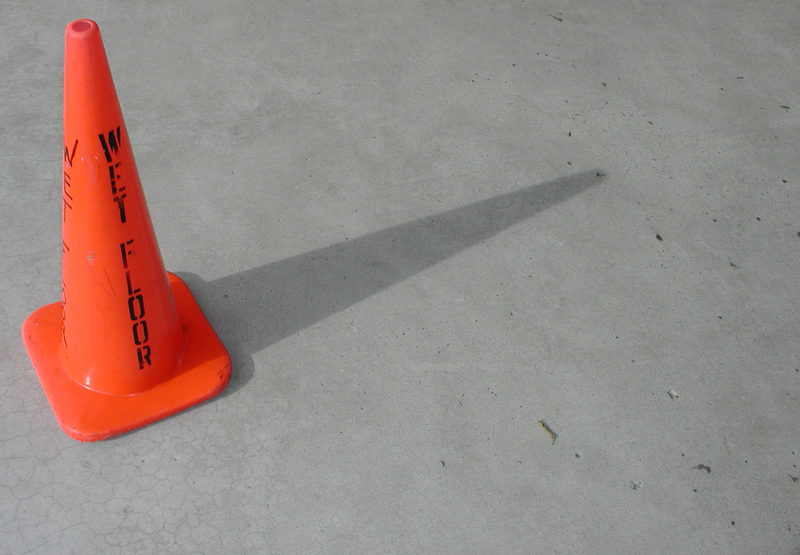 How can you protect your facility from water / flood damage? Receiving alerts that water has been detected in critical areas of your facility is part of helping to prevent water / flood damage. However, what can you do to help prevent damage from even beginning while you are responding to your alerts? Protecting your facility and mission critical equipment is vital to maintaining uptime, which is why AVTECH is introducing our brand-new Flood Protect & Control Kit! The Flood Protect & Control Kit is comprised of three items that will help protect your facility during a water detection alert from your Room Alert monitors. The kit is designed to help keep unexpected water at bay while you respond to your alert and help stop the water flow at the source. Helping users maintain maximum uptime is our core focus here at AVTECH, and introducing the Flood Protect & Control Kit helps us to take the next step beyond simply alerting our users to a water or liquid leak that can cause downtime and outages. By pairing up our new Flood Protect & Control Kit with our Flood Sensor w/Cable or Flood Sensor (Spot), you will not only receive notification of water being detected, you will also actively be helping to prevent water or liquid from reaching your critical areas and equipment. How does the Flood Protect & Control Kit work? 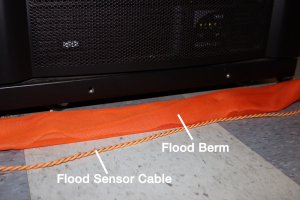 Flood Berms – The Flood Berms are 2.5” x 48” berms that can be placed around or near sensitive locations in your facility; for example, you can place them around your server racks or cabinets in your data center. When dry, the Flood Berms lay flat; when liquid encounters them, they immediately begin to absorb the liquid and can hold up to 2 gallons of liquid per berm. This not only helps stop the flow from reaching your equipment, the engorged berms form a protective barrier to help prevent more liquid from reaching the areas or equipment they’re protecting. Flood Barrier Mats – Flood Barrier Mats can also be placed strategically along the floor in your facility and can absorb 1 quart of liquid each. You can choose to place them underneath Flood Berms as an additional layer of protection, or you can opt to place them in other locations where the flow of water or liquid may not be as heavy. Since Flood Barrier Mats are flat and pliable, you may also wrap them around pipes that run through sensitive areas of your facility. Should the pipe leak, the Flood Barrier Mats will help absorb the liquid to prevent it from spreading. 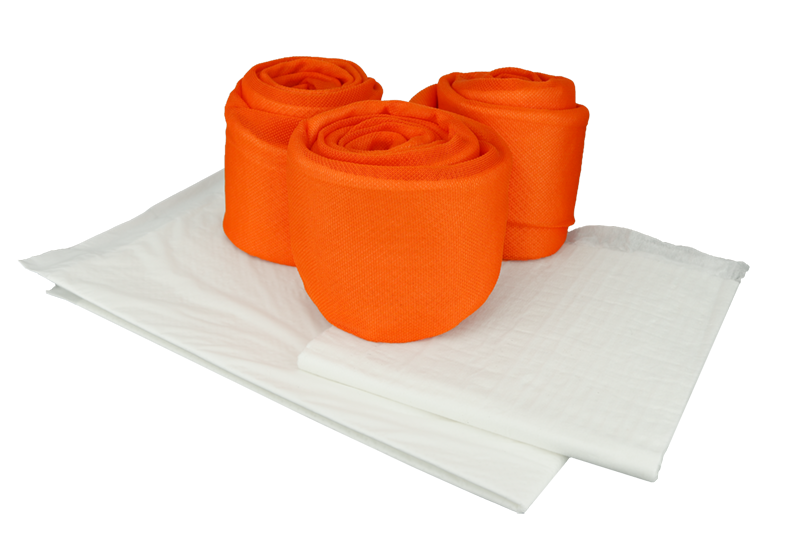 Flood Cleanup Mats – Each Flood Protect & Control Kit comes with Flood Cleanup Mats, which quickly absorb 1.5 quarts of liquid in the event of a spill or a leak. 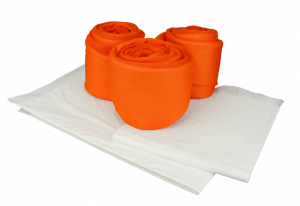 Should your Room Alert notify you of water being detected, you can drop the Flood Cleanup Mats on the puddle or spill to help hasten the cleanup and drying process. Our new Flood Protect & Control Kit is available now in our online store. If you are purchasing a flood sensor or are currently using one, adding a Flood Protect & Control Kit to your environment monitoring solution is a must. 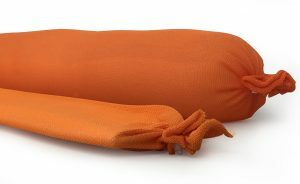 Small kit includes 6 Flood Berms, 3 Flood Barrier Mats, and 6 Flood Cleanup Mats for $85. Large kit includes 12 flood Berms, 6 Flood Barrier Mats, and 12 Flood Cleanup Mats for $155. Don’t let a leaking pipe, clogged toilet, or construction accident that causes a leak bring down your organization. After all, organizations are 10x more likely to suffer from water / flood damage than they are from fire damage. Go back to the scenario we led off with and imagine that the Flood Berms in your Flood Protect & Control Kit kept the 2” of water at bay until you and your team arrived, protecting equipment and maintaining your uptime. Instead of days of work and thousands of dollars lost, you would have had a short cleanup period and no downtime. Install a Flood Protect & Control Kit today to protect your facility from unwanted and costly downtime, and have the peace of mind in knowing that you’re helping prevent water and leak damage to your facility.